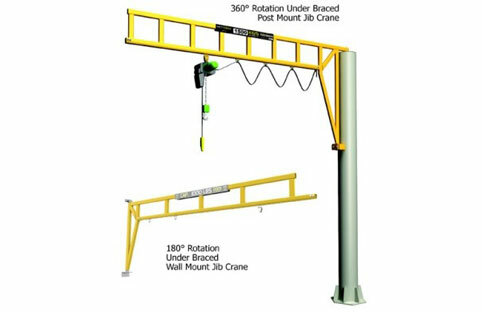 JDN MONOCRANE supply an extensive range Chain Hoists to suit your Workstation Crane Systems. 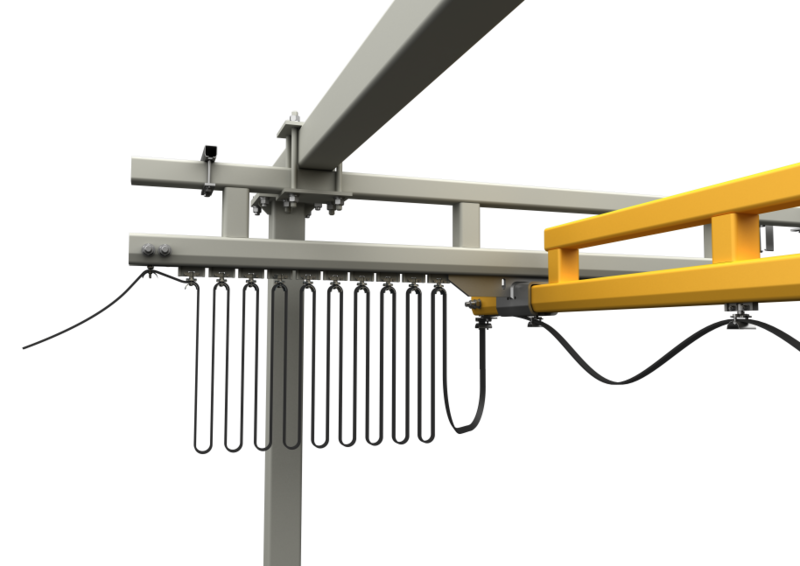 MET-TRACK® workstation crane systems utilise multiple bridge formats to provide ecconomical solutions across a class leading range of capacities and spans. 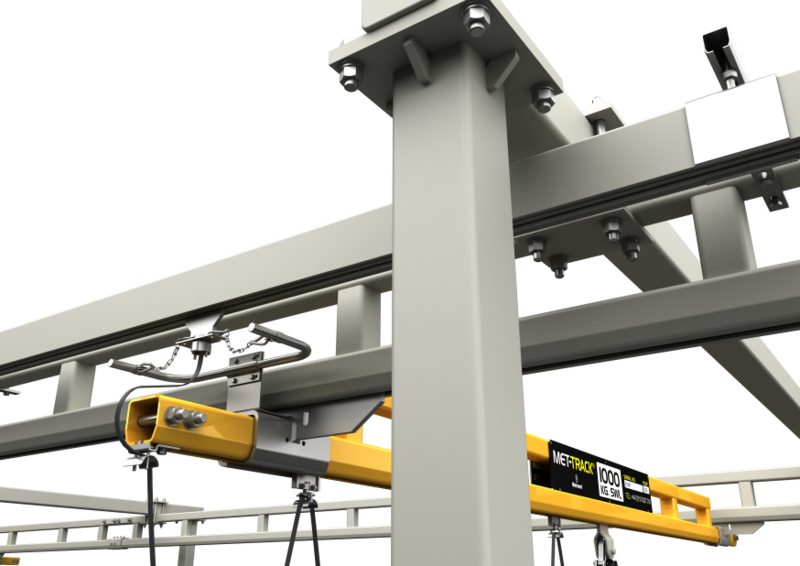 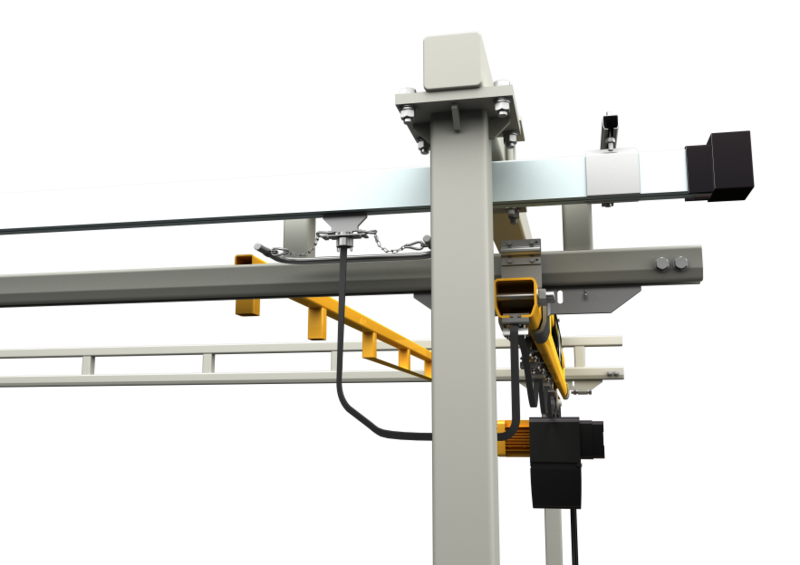 The optimised design of the 3 different bridge formats ensures that your MET-TRACK® workstation crane is as rigid and as light as possible to provide a highly mobile and user friendly materials handling solution. 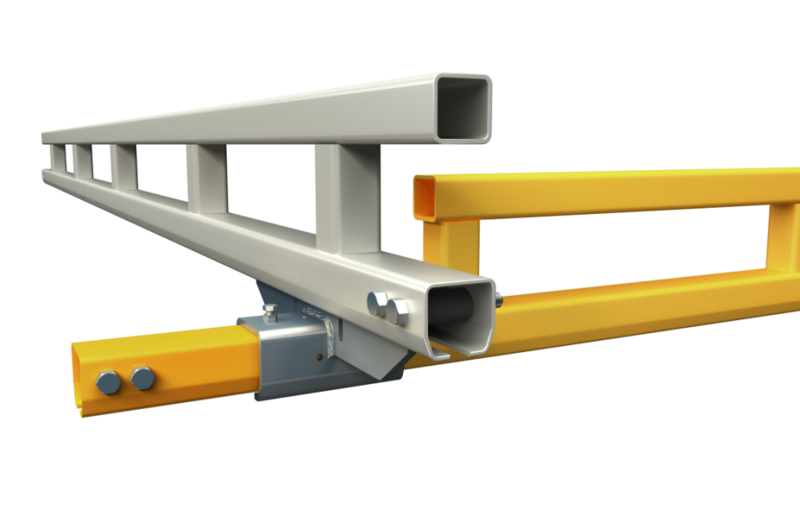 MET-TRACK® runways are typically trussed to provide high capacity, greater spans and greater rigidity than comparable systems on the market. 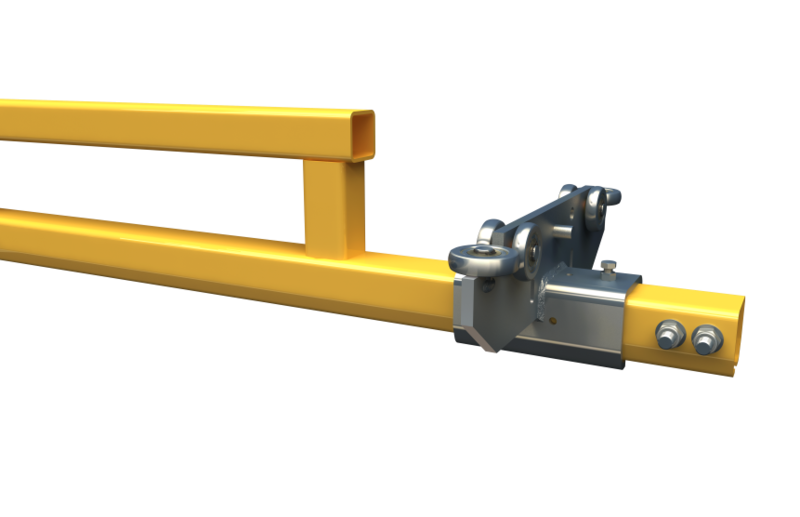 Splice kits available allowing you to extend your system as your business grows. 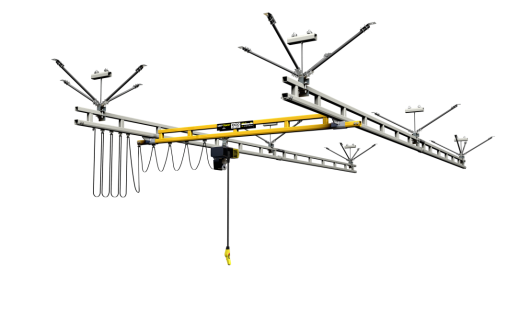 The MET-TRACK® splice kit accurately clamps and aligns the top and bottom cords of the runway to ensure free flowing and smooth travel of your workstation crane. 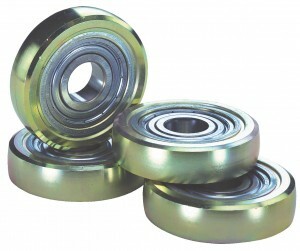 Steel wheels with precision bearings to provide the ultimate in low resistance movement and longevity. 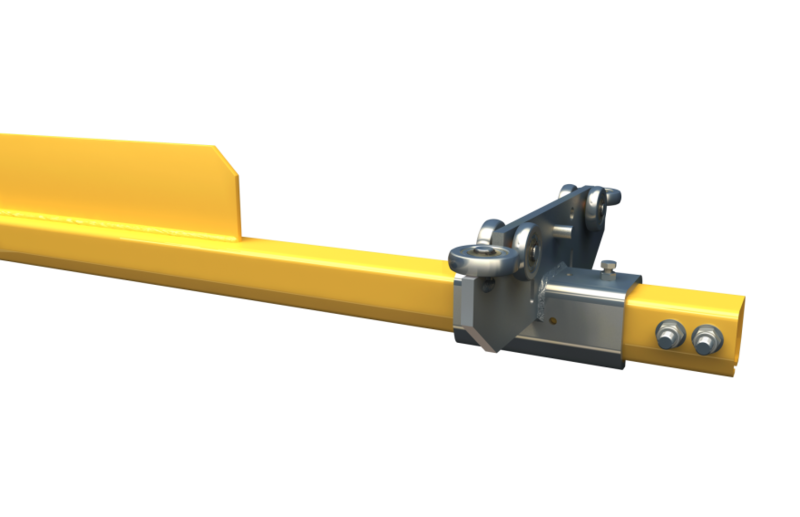 End Trucks with Vertical and horizontal guide rollers to ensure ‘crab free’ travel regardless of where the load is located. 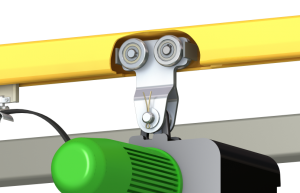 Rubber endstops to effectively dampen travel and traverse endstop impact loads. 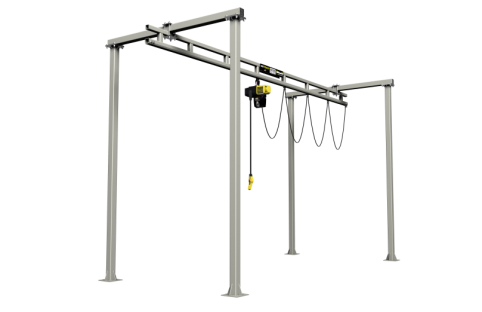 Festoons systems provide reliable completely enclosed power supply to your crane. 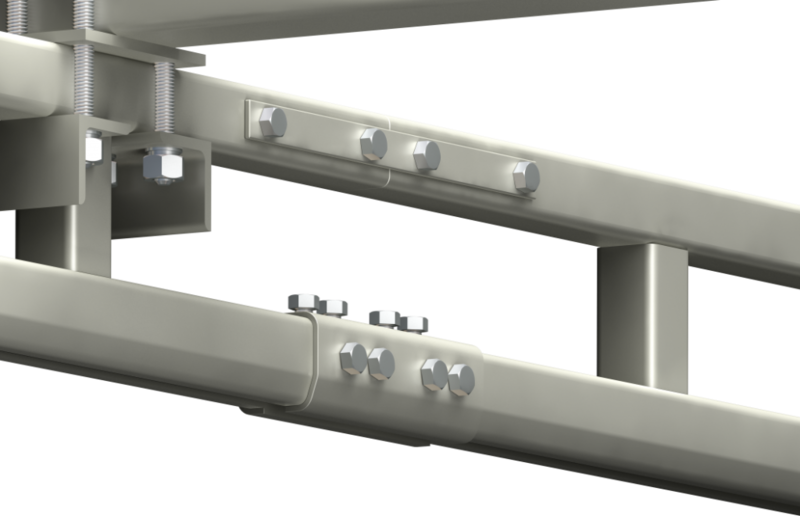 Where end approaches are tight, the track can be extended to allow the bunched festoons to sit outside of the cranes range of movement. 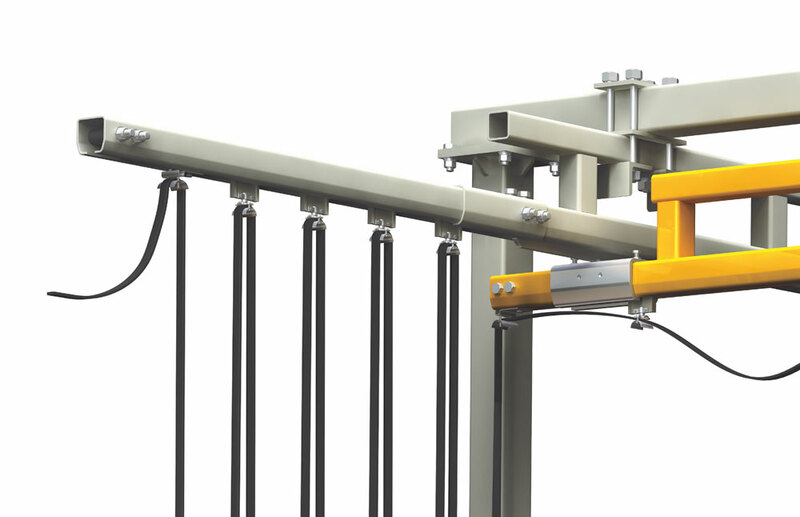 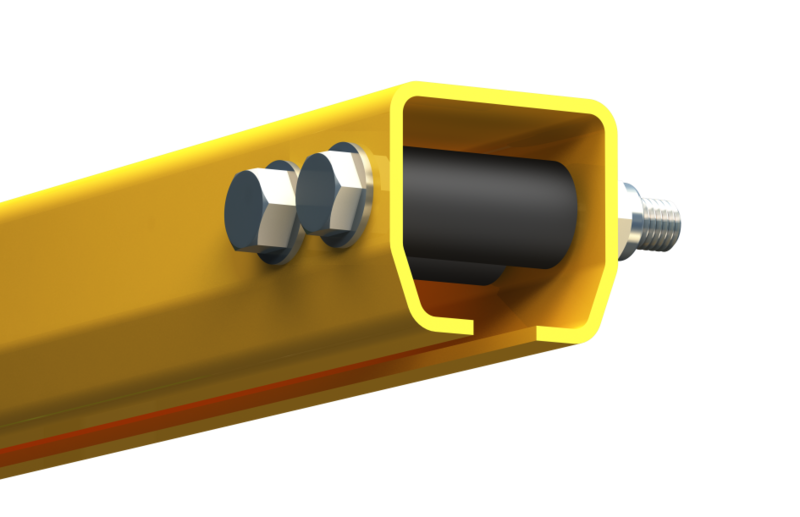 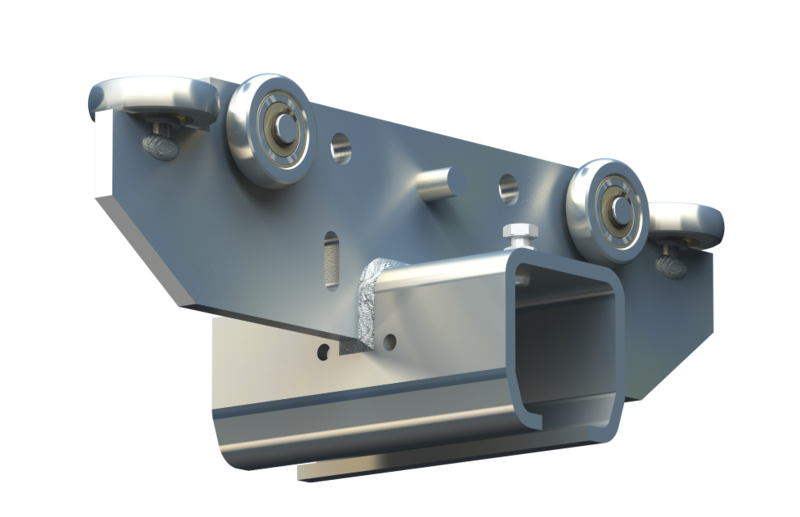 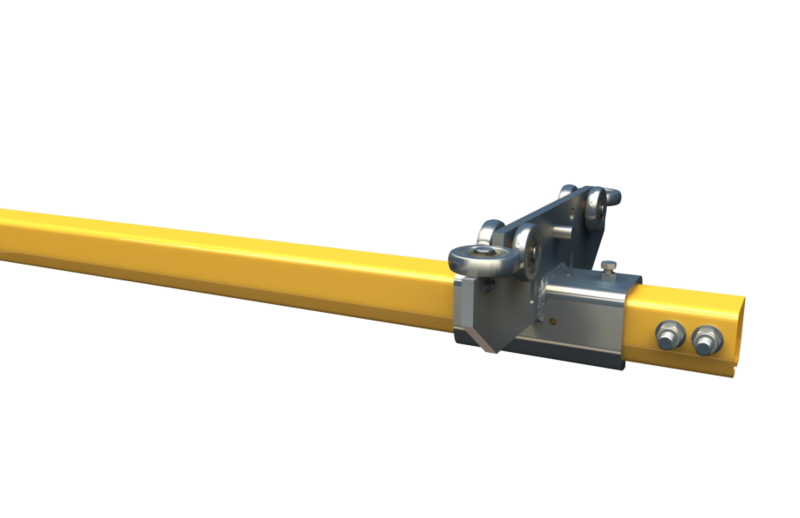 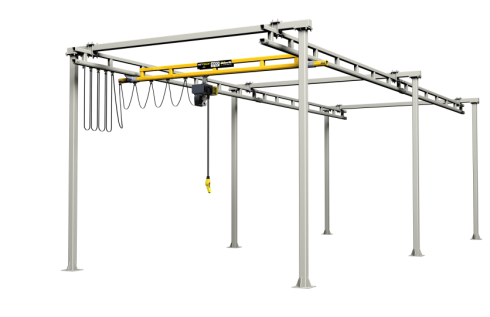 For long downshop lengths, Conductor Bar systems can provide a rugged and effective alternative to festoon systems to bring power to your hoist and workstation crane.